If the reputation of cryptocurrency is to change then it needs to go beyond regulation and build systems with integrity which consumers and professionals can have confidence in and trust. Regulation and monitoring the professional players is certainly part of building this reputation. Dr Robinson says: “Changing the reputation will come by having good regulation and ensuring every issuer is doing good due diligence.” The biggest problem for law enforcement is the many unregulated exchanges, where criminal users can stealthily navigate their way through the crowd of legitimate transactions. US Securities and Exchange Commission chairman Jay Clayton recently called out the “gatekeepers”, such as exchanges, bankers and lawyers, among the bad actors in initial coin offerings. 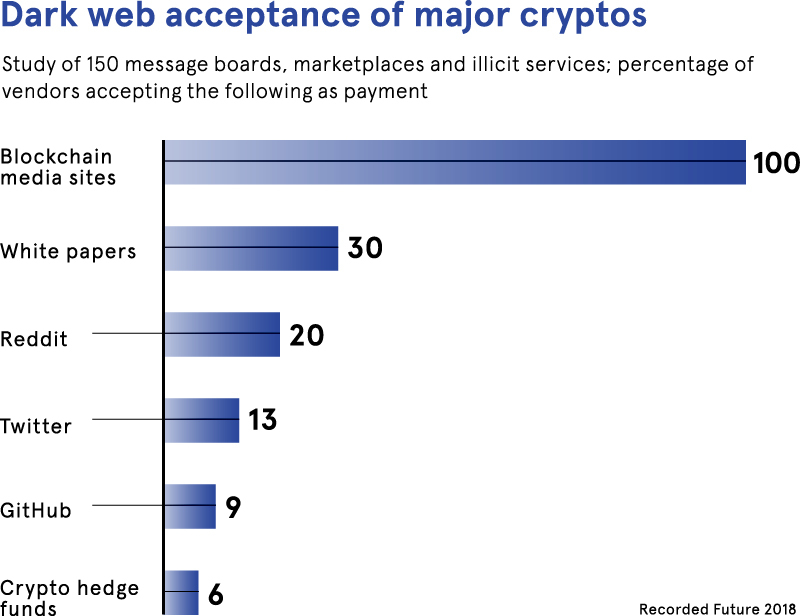 Like any market handling money, cryptocurrency will always attract scammers and the like, but most users should have the confidence that this is a safe and useful space for them to occupy. It is said every US dollar note has drug residue on it, but this does not make everyone handling US currency drug-runners. It is this level of understanding that cryptocurrency is striving for, which means accepting there will always be abuses. What reputation in finance amounts to is robust integrity and confidence in the means with low negative impact on the consumer. The foundational work for building such a reputation is one for IT specialists and forensic crime experts. Cryptocurrency uses technology to transfer value outside the institutional financial system. 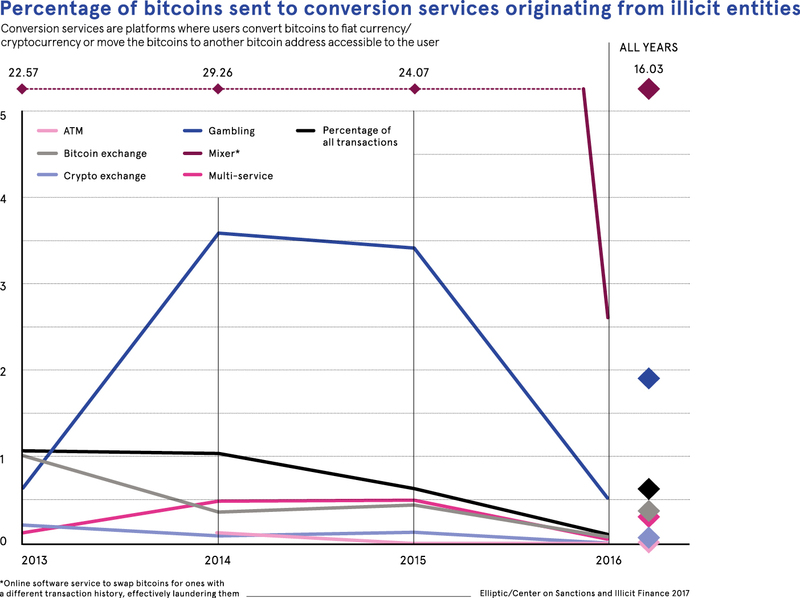 Criminals were early-adopters of bitcoin because they believed digital currencies were untraceable and completely anonymous. To sign up in the cryptocurrency world is easy, you simply need an address using a random string of letters and numbers, and you can have as many addresses as you wish. These addresses can be tied together without having to identify their provenance. The funds involved can be transferred without intermediaries and across jurisdictions with ease. Away from all the headlines and hype, the reality is that cryptocurrency networks are less private than criminals thought. In fact, crypto offers pseudonymity rather than anonymity. Dr Robinson explains: “There is a pseudonym, but this can be ultimately tied to a real-world identity.” Forensic investigators are able to trace illegal behaviour and misconduct by using a range of new forensic tools, detecting patterns across cryptocurrency networks and, as the old adage in crime goes, “follow the money”. Each transaction is recorded in a distributed public ledger and can thus be tracked, and anyone can download the entire transaction history for examination. A 2018 study by Elliptic and the Center on Sanctions and Illicit Finance, a US think tank, found a fivefold increase in the number of large-scale illegal operations working on the bitcoin blockchain between 2013 and 2016. They analysed the history of more than 500,000 bitcoins, identified 102 criminal entities and demonstrated positive links back to them. Regulation and tackling the impact of illegal use lies at the heart of making cryptocurrency mainstream. Matt Bisanz, financial services regulatory and enforcement associate at Mayer Brown in Washington, explains the reputation damage of cryptocurrency. “The situation is unsustainable,” he says. “The analogy is if there were daily bank robberies in New York, getting away with hold-ups. There was a time when this was common, in the wild west. Like poachers turned gamekeepers, the academic researchers who helped create the encryption and software systems that made bitcoin possible are now helping law enforcement to detect criminal activity. These experts operate at the crossroads of computer science, economics and forensics. Academic centres across the world, from Imperial College London to the University of Sydney, are using artificial intelligence (AI) to identify crypto transactions linked to criminal behaviour. Startups like Chainalysis and Elliptic are putting AI and machine-learning tools into the hands of law enforcement agencies to anaylse profiles, cluster addresses and detect patterns. Every transaction made using cryptocurrency is logged on the blockchain, which is a publicly available ledger. AI and machine-learning algorithms can be used to augment the blockchain to produce superior cryptocurrency intelligence. It doesn’t store identities, but every user has an associated wallet that is recorded alongside the transaction. The AI tool can search the blockchain to identify the wallet that corresponds to a real-world identity.